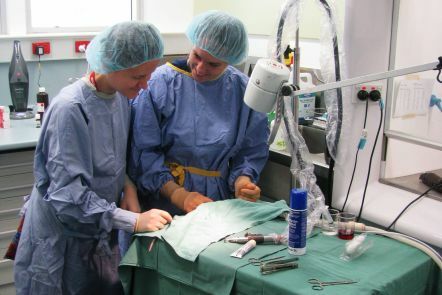 Large animal surgical suites are among the many facilities and capabilities we offer to support research and training requirements. A suite of PC2 small animal holding and procedure rooms enable research activities. 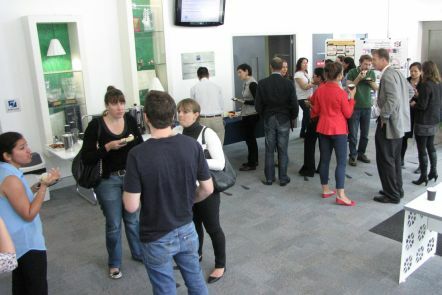 A modern seminar room and breakout space can support your training and collaboration activities. Anatomical and surgical skills laboratory for training workshops with six surgical-operating table cadaver workstations. State-of-the-art surgical theatres with anaesthesia and monitoring equipment. and off-site holding for long-term agistment suitable for sheep and pigs. A PC2 laboratory with mechanical testing, tissue culture facilities, preparation and procedure rooms. Meeting facilities including a multimedia seminar room (capacity 35 people) and meeting room (capacity 10 people) with video-conferencing capabilities. Uniaxial Instron mechanical testing machines with 2kN and 30kN capacity. Biaxial Instron hydraulic mechanical testing machine with 25kN/100Nm capacity. 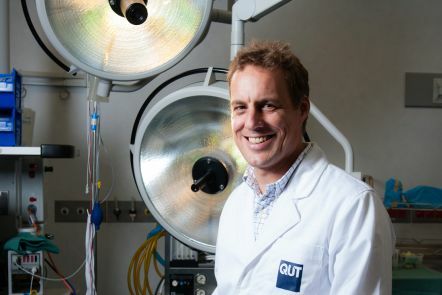 QUT’s Central Analytical Research Facility has histology capabilities at the Institute of Health and Biomedical Innovation for un-/decalcified histology, histomorphometry and immunohistochemistry. MicroCT capabilities are provided through a Scanco microCT 40.